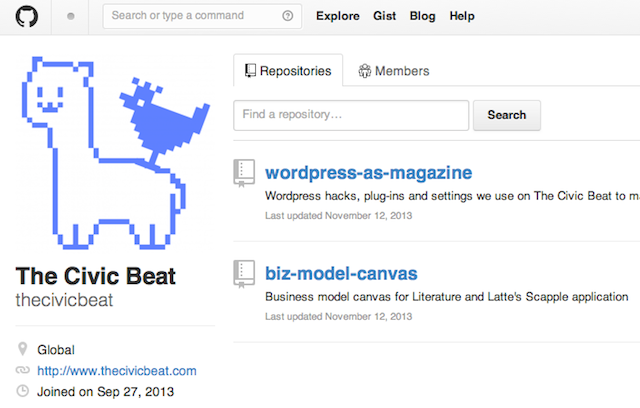 We at the Civic Beat are huge fans (and beneficiaries) of the open source movement. That’s why several weeks ago, we silently set up shop on GitHub, one of the web’s largest repository of open source projects (amongst other things). And now, before we get ready to wind down for American Thanksgiving, we’re finally ready to release a few of our first mini-projects there. Many of you may be familiar with Alexander Osterwalder’s Business Model Canvas. A staple of the startup scene, it’s a great shorthand for brainstorming and mapping out a new business venture. We took a Creative Commons-licensed PDF of the canvas1 and turned it into a digital, editable Scapple board (pictured below). Scapple is an easy-to-use tool for getting ideas down as quickly as possible and making connections between them. It isn’t exactly mind-mapping software—it’s more like a freeform text editor that allows you to make notes anywhere on the page and to connect them using straight dotted lines or arrows. Combining the Business Model Canvas and Scapple together has allowed us to quickly map out where our business is going, without having to go through laborious cycles of printing and scanning paper. Plus, everything looks better in color. 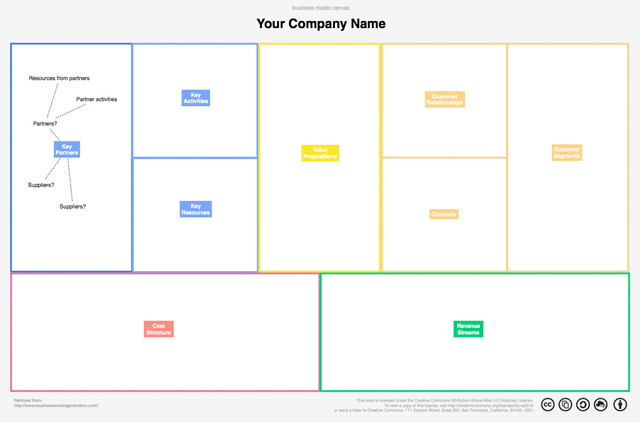 Download our Business Model Canvas (Scapple Edition). We’ve built blogs, online magazines and corporate websites in WordPress before. But never have we pushed the limits of WordPress as far as we did whilst building The Civic Beat Reader.3 Amongst our happy discoveries was a free co-authors plug-in that does away with the internet-standard system of having articles tied to a single username. If you’re running an online publication (or content site as they call it these days) of any sort, we think that you’d be interested in the list of hacks, plug-ins and settings that we use on The Civic Beat Reader. James Fallows’ writing program of choice and beloved by some of our team as well. And we’re not done yet! The Reader is undergoing constant, behind-the-scenes improvements.